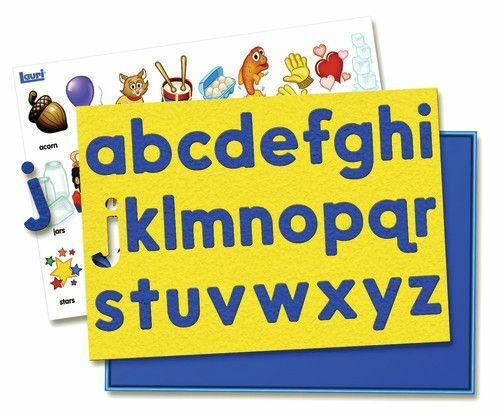 Kids can feel letter shapes and learn sequences with these classic Lauri® crepe rubber alphabet puzzles. 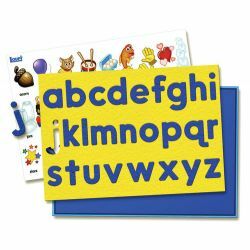 Letters are 2" tall and fit into an 111⁄2" square puzzle frame. A picture pattern helps kids match letters. Just remove the pattern to vary the challenge. With the letter's unique textures–bumpy on one side and smooth on the other–kids learn to correctly distinguish between b and d to follow a in the puzzle frame.